According to a new study in the journal Nature Communications, researchers from Stanford University have used brain monitoring in ‘real-life’ situations to reveal the region of the brain responsible for numerical processing. The researcher said that unlike previous approaches, their research could lead to “mind-reading” technology that would allow a patient who cannot speak to communicate by simply thinking. They also speculate that their findings have the potential for more dystopian outcomes – technology that spies on or even controls a person’s thoughts. The techniques used in previous studies, such as functional magnetic resonance imaging (fMRI), are somewhat limited by their capacity to examine brain activity in real-life settings and to catch the exact timing of nerve cells’ firing patterns. In the new study, the Stanford team used a method called intracranial recording, which involves temporarily excising a section of a patient’s skull and placing electrodes against the exposed brain surface. For up to a week, three participants who were being evaluated for chronic, drug-resistant epileptic seizures remained attached to a monitoring apparatus while their brain activity was recorded. While the patients were tethered to the monitoring equipment, they were mostly confined to their beds but free of pain and able to eat, drink, think, talk or watch television. The volunteers’ actions were also recorded by video cameras throughout their stay, allowing the research team to come back later and correlate physical activities with nerve-cell behavior in a specific brain region. During their hospital stay, volunteers were asked a variety or true-false questions on a range of subjects. The researchers discovered that electrical activity in a brain region called the intraparietal sulcus jumped only when volunteers were performing calculations related to the questions. After tracking brain activity during these quiz sessions, Parvizi and his team looked for spikes in intraparietal-sulcus activity that took place during normal life activities and referenced the recorded video footage to see what had triggered the brain activity. They saw that when a patient said a number or a quantitative reference, such as “some more” or “bigger than the other one,” there was a jump of electrical activity in the intraparietal sulcus similar to what was activated while the patient was doing calculations under experimental conditions. 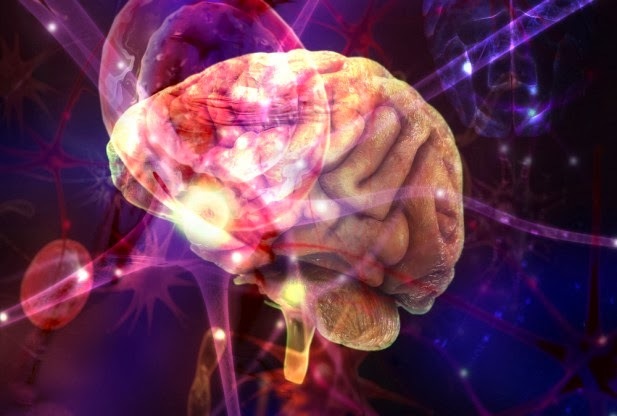 “We found that this region is activated not only when reading numbers or thinking about them, but also when patients were referring more obliquely to quantities,” said Parvizi, an associate professor of neurology at Stanford. According to Greely, any fears of impeding mind control are a bit premature. “Practically speaking, it’s not the simplest thing in the world to go around implanting electrodes in people’s brains. It will not be done tomorrow, or easily, or surreptitiously,” Greely said.